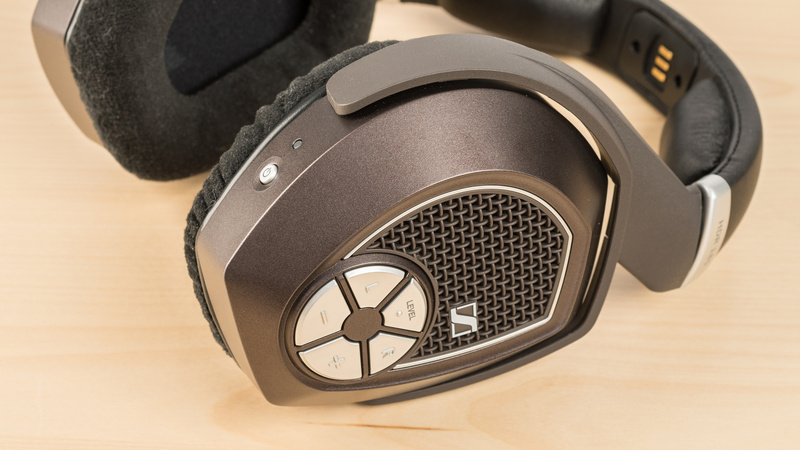 The Sennheiser RS 185 are comfortable, easy-to-use and have an improved sound over the RS 175 and RS 165. Their open design enhances their sound quality, but it also makes them less versatile than the already limited use of the RS series. They're leaky, they barely block any ambient noise, and you need the stand for the headphones to work, so they won't be practical for commuting or sports. Poor isolation and high leakage, by design. The RS 185 feel a bit more premium than the rest of the RS series. They have better padding on the ear cups which are coated with a soft fabric that feels nice on the skin. They also have a slightly different color scheme than all the other models in this series. Unfortunately, they have some of the same issues as well. Their comfortable fit is somewhat offset by the poor pressure distribution of ear cups. They're also too bulky, and not meant for sports, or for outdoor use, especially, since RS 185 are open-back. 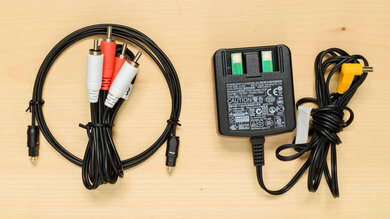 Also, the stand takes an RCA and optical connection instead of a typical line-in. 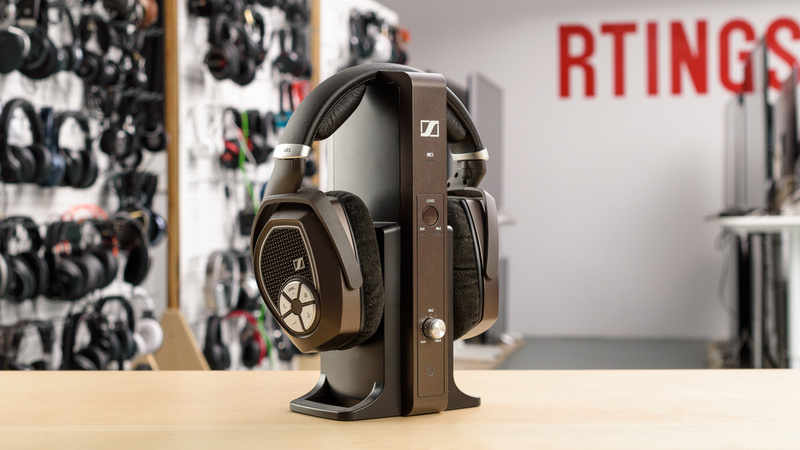 The RS 185 have the same form factor as the rest of the RS series from Sennheiser. They come with a TR transmitter stand that also acts as a dock and a charging station. The RS 185, however, has open ear cups and different padding on the ear cups which makes them look slightly more premium than the RS 175 and RS 165. They also have additional buttons for Level and Balance control that are not on the rest of the RS series and a copper/brown color scheme instead of the typical black and silver of the other models. Overall, they're kind of bulky headphones not meant for outdoor use, so they won't be the most fashionable headphones, but their simple and utilitarian design will work for most. The RS 185 are comfortable headphones with better padding than the RS 175. 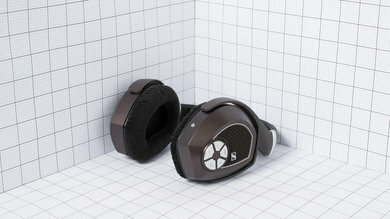 They have the same spacious ear cups but the padding on the RS 185 is covered in a soft suede-like fabric that feels nicer on the skin. Unfortunately, they also have the same issue of pressure being poorly distributed around the ear cup. After listening to them for a while, you might start feeling a little soreness between your ear lobes and your jaw. It's not painfully uncomfortable, but it's not ideal either. The RS 185 have an efficient controls scheme, but it's slightly limited. Like the rest of the RS series, they can not take calls or play/pause your music. However, the buttons provided are responsive and offer functionality for volume control, L/R balance, and a level button to toggle between automatic level control (ALC) and manual Level control (MLC). MLC can be directly adjusted with the dial on the stand. The RS 185 like the RS 175 and 165 are not portable headphones. They're quite large they don't fold, and you need the stand for them actually to work. You most likely won't be carrying them around on your person. The RS 185 use slightly more premium materials in their build quality than the RS 175 and 165. Like the previous models, the headband is fairly flexible and reinforced with a thin metal frame. 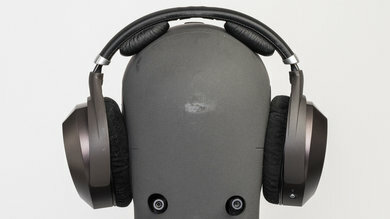 The ear cups are also decently dense and don't feel as cheap as that on the RS 165 or 175. However, when compared to some other headphones in their price range, they do not feel as sturdy, or durable. The RS 185 are not the most stable headphones. 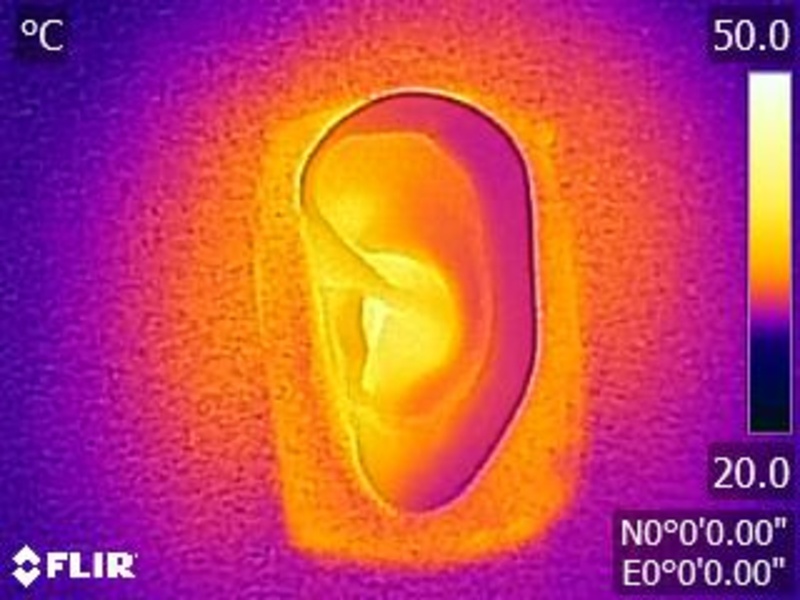 They're decently tight so they won't move much during casual listening sessions but unfortunately, their ear cups are heavy and sway a lot under physical activity. This means they won't be good headphones for sports or working out. Also, they need to be in range to their charging dock so sports in general with these headphones is impractical. Comes with a 1/8" RCA audio cable, an optical audio cable and a power adapter for the TR 175 transmitter. The RS 185 are good sounding open-back headphones with an extended and consistent Bass, a very good Mid range and a decent Treble. However, their Bass and Mid range tend to be slightly muddy, and their Treble could be a bit sharp on already bright tracks. Additionally, they have a decent distortion performance and a relatively open Soundstage. Very good Bass Range performance. Low-bass is extended down to 20Hz, which is excellent. However, the response shows a bit of tilt towards high-bass with up to 4dB of overemphasis at 150Hz. The makes the sound of these headphones slightly boomy. Very good Mid Range performance. The only remark here is the slight bump in low-mid, which is the continuation of the high-bass overemphasis, adding a bit of a muddy quality to the reproduction. Decent Treble Range performance. Low-treble is overemphasized by about 5dB which makes these headphones slightly bright and forward sounding. The dip in treble has a subtle negative effect on the detail and articulation of vocals/leads and the peak around 10KHz could make these headphones a bit sharp on overly-bright tracks. Good Consistency performance. Unlike the closed-back RS 165 and RS 175 that perform quite poorly in terms of Bass Range consistency, the open-back RS 185 shows only 4dB of variance at 20Hz across our 5 human subjects, which is good. They also have a decent consistency in their Treble Range performance. Decent Harmonic Distortion performance. The overall amount of harmonic distortion at 90dB SPL is good and typical of most headphones. However, under heavier loads, there is a measurable rise in the amount of distortion in the Bass and Mid Ranges, while remaining within acceptable limits. But, the Treble Range seems to be immune to this rise in distortion at louder volumes, which is good. The RS 185 are the only open-back model of the RS series. While the previous models are not particularly quiet or good are blocking ambient noise, the fact that the RS 185 are open-back means they leak a lot more and prevent even less noise from seeping into your audio. 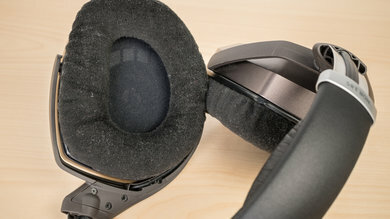 They're not the ideal theater headphones if you have a noisy home environment and due to the higher leakage, they're also not ideal if you plan on using them to not distract anyone close to you. If you'd like good closed-back headphones that can block out ambient noise while watching TV, take a look at the Dolby Dimension if you have an aptX-LL dongle for lower latency, or at our recommendations for the best wireless headphones for TV. Poor Isolation. 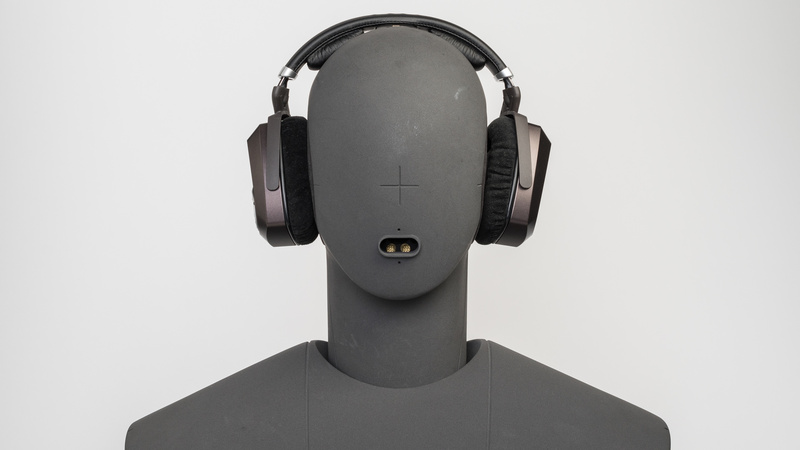 Due to the open-back design, these headphones don't isolate any noise below 1KHz. 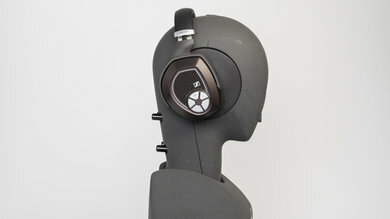 Above that, they achieve a mediocre 15dB of isolation which is typical of most open-back headphones. In our testing we also noticed that the RS 185 may be using a noise gate to suppress the self-noise produced by these headphones, which made measuring it quite difficult. However, due to the speed of the gate, the self-noise of these headphones shouldn't be an issue for most users. Poor Leakage. The significant portion of leakage on these open-back headphones is spread between 200Hz and 20KHz which is quite a broad range. The overall level of the leakage is also relatively loud. The Sennheiser RS 185 have pretty much the same active features as the RS 175 and 165. They have low latency for watching movies and use two rechargeable AAA batteries that can be charged directly with the stand. The battery life is decent at above 20 hours, but charging the AAAs takes a surprisingly long time when using the stand and varies depending on the capacity, age, and wear of the batteries. Unfortunately, radio frequency headphones, don't have the best range when obstructed so unless you're directly in front of your source you won't have the most stable and reliable wireless connection. The RS 185 like the 175 or the 165 have a good battery life. They lasted about 22 hours and also use rechargeable AAA batteries that can be charged with the stand. Unfortunately it takes more than 8 hours for a full charge which is very limiting, but the charge time is heavily dependent on the capacity, age and wear of the rechargeable batteries. On the upside, you can always just swap out the AAA with new non-rechargeable batteries which may be less cost effective but has 0 charge time. The RS 185 use radio frequency which gives them very low latency for watching videos and gaming. 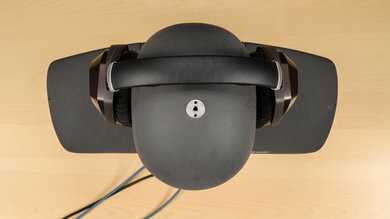 It also allows them to connect immediately with their transmitter stand as there is no pairing procedure, unlike Bluetooth headphones. However, when it comes to the range, radio frequency is not ideal as it's more susceptible to connection drops when the stand is obstructed. So unless you listen to your source in direct line of sight to the stand you may experience an unstable connection and a lot of drops. See our recommendations for the best wireless TV headphones, the best wireless over-ear headphones, and the best over-ear headphones. For watching TV at home, the Sennheiser RS 185 are a better option than the Dolby Dimension if you don’t want to purchase an aptX-LL dongle. Their dock acts as a transmitter, which gives you lower latency for watching video content. However, they are open-back and won’t isolate against your household noise, which the Dolby Dimension ANC feature can help with. 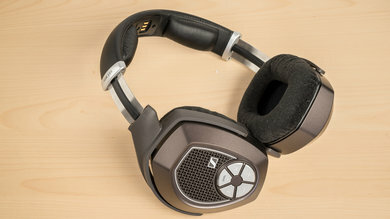 The Sennheisers have great audio reproduction, but you’ll need batteries to power them and they aren’t as well-built and comfortable as the Dimension. 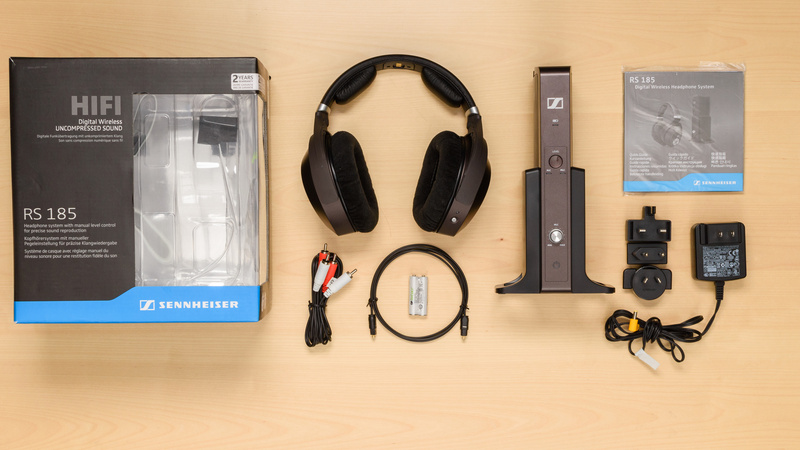 The Sennheiser RS 185 are good home theater headphones, but they're not very versatile. The stand transmitter limits their use outdoors, and since the 185 are open-back headphones, they struggle even more in loud environments. On the upside, they're comfortable and have a good sound for critical listening. Good for critical listening. 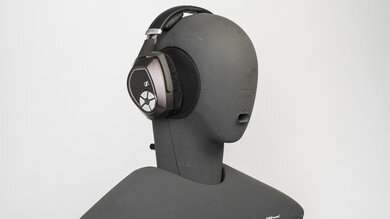 They have a well-balanced sound and a more spacious Soundstage than the RS 175 or 165, thanks to their open back design. However, they also tend to sound a bit sharp on some tracks and their Bass may sound slightly muddy. Overall they deliver a good audio reproduction that should satisfy most listeners. Not suitable for commuting and traveling. Like the rest of the RS series, you must have the transmitter in range for them to work. That and the fact that the RS 185 are open-back makes them even less practical to use anywhere else but at home or at the office in front of your TV or PC. Not intended for sports. They have a fixed transmitter, and they're bulky and unstable. Also, you have to be in range of the transmitter which is very limiting for sports. Subpar for office use. They have a decent line-of-sight range, and they're comfortable and easy-to-use. However, they're a lot leakier than any of the previous models, and they don't isolate because they're open-back headphones which make them unideal for quiet or loud offices. Good for home theater use. 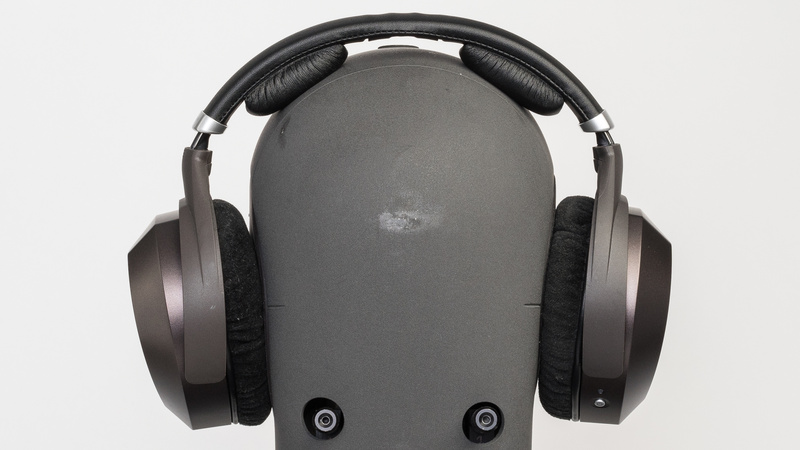 These headphones are made specifically for watching movies. They have a good, well-balanced sound and an open and comfortable design that you can wear for hours. They also have relatively low latency thanks to their dedicated RF transmitter. They will rarely have any out-of-sync issues when watching videos and have a good enough range that you can comfortably watch tv from your couch.